Spoilers Included. I’m not going to warn you again. The Season Finale wrapped up all of the various entangling plotlines (except of course for what really happened to the Prime Universe Lorca, so in that way, it was a satisfying, and within Star Trek TV show parameters, solved the main struggle of the season, the Klingon War, in the most Federation-ie way possible, by appealing to the Klingon’s better selves, and of course, also appealing to the better nature of deposed emperor Georgiou. I’ll admit that struck me as ridiculous. Georgiou held the trigger for the bomb that would have devastated the Klingon home world, and rather than use it, she surrendered it to Burnham instead of killing her. One doesn’t get to be Emperor of the Terran Empire with that sort of maudlin sentimentality. And even more unrealistic was the resolution to the Klingon War. With Klingon ships on the edge of the solar system, Burnham gives the detonator to L’Rell, with the hopes that she will unify the empire and yada yada yada, the Klingons abandon the war? On the edge of full victory? And that’s exactly what happens. To me, this was a cop out to resolve the war, in a pretty unrealistic way, but I’ve no doubt, most Star Trek fans loved this finale for the very reasons I found it unrealistic; the solution to the war wasn’t found in delivering a decisive military defeat on the enemy, but by adherence to the Federation’s highest principles, and assuming (always correctly) that everyone else in the universe at some deep down level, shares those same principles. In unrelated news, the Federation has no money but everyone shows up for work and tries to be the best they can be. But hey, that’s Star Trek. 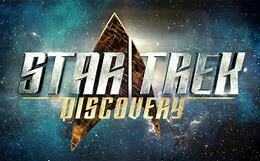 Finale aside, this has been without a doubt the best first season story arc (or arcs) of any Star Trek show. Traditionally Star Trek shows start out not having any idea what direction they were going nor any idea on how to get there, or which characters were going to break out. As a result, they’ve ended up stumbling around for the first three seasons before they get their act together. But in a media universe of too much content, fans don’t have to be patient, and won’t be. As I mentioned in my review of the first three episodes, the first two episodes were not even a proper pilot, but more of a prequel, with the third episode being the actual pilot that introduces the cast. I’m not sure if in a general sense that’s a good idea for a television show since it makes it difficult to actually figure out much about the show from the first three episodes. However in this particular case, that had a high pay off in the last half of the season. So I feel that this time they managed to cram the usual three season shakedown cruise into just a few episodes. This was a heavily fan service season. True, you would expect any show like this to be loaded with Easter eggs, but the show moved ahead with a season that had both Harry Mudd and the Mirror Universe. So in an overall sense, this was a show and a season well worth watching. I might have watched even a crap take on Star Trek, but that’s harder to do when you actually have to pay extra to view it. Luckily I didn’t have that struggle. I felt I got my money’s worth. There were a few things that bugged me though. The reveal that Ash Tyler was a Klingon spy made sense to me and there were certainly enough context clues to figure it out before the reveal; I did. However Lorca being from the mirror universe was, I felt, the proverbial turd in the punch bowl. Do I think that was planned by the producers all along? Yes. In episode 6 Admiral Cornwell and Lorca are sharing a bottle of triple malt scotch and she references a shared event from years ago that Lorca clearly doesn’t remember. However, Lorca had turned into one of the more interesting characters on the show, based on the appearance that he was a psychopath commanding a Federation starship. But rather than go with that angle, they decided to comic book it up and make Lorca a Mirror Universe villain. Sure, it played well on TV and few characters get as great a death as Lorca did, but the idea that if he’s evil, he must be from the mirror universe, is in some ways, a cop out. There are no bad guys in the Prime Universe? Starfleet has had no end of various Admirals and Captains that have gone rogue. The original series did an entire episode around a Starfleet Captain, Garth of Izar, who went criminally insane. And mutinies in the Admiralty were the plot points of at least two Star Trek movies, Star Trek VI: The Undiscovered Country, and Star Trek: Insurrection. I’m just saying I would have enjoyed a few more seasons of Lorca the psychopath fooling everyone around him. The two Harry Mudd episodes were a bit of a disappointment. Not because of Rainn Wilson’s performance, which was great, but turning Mudd into a many times over mass murderer and traitor seems like a total retooling of the character. There was nothing comic relief about this Mudd. True, his murders got wiped out in Discovery’s Groundhog Day episode, but the seizing control of the Discovery and trying to sell it to the Klingons didn’t. It seems like there were enough real crimes committed both pre and post time loop to send him to Federation jail for a long time. Instead…they decide being with his wife (Stella!) was a worse punishment and let him go. The Mirror Universe arc wasn’t a disappointment and was total fan service. My only quibble on that was again, the Trumpification of the Mirror Universe. Like the Klingons, the Mirror Universe is retconned so that they just want to make the Galaxy great again^ with a Terra First foreign policy that, to the Prime Universe Discovery crew, is “racist and xenophobic.” I get it; every TV writer hates Trump and the people who voted for him and wants to squeeze #resist into their work. But don’t destroy the original idea to do it. The Terran Empire, as first shown in the original series episode Mirror Mirror, was anything but racist and xenophobic. Spock was a half Vulcan First Officer serving in a top of the line Imperial warship, with the total trust of his captain, Evil Kirk. Race based regimes usually hate half breeds more, so the path from son of a rebel Vulcan traitor Sarek (complete with goatee) to his mixed blood son serving the Empire doesn’t make sense on its face. There is a lot I could write on the Mirror Universe but it would be plunging down a nerd black hole, and no one wants that. Klingons: Why Oh why did they go with this total re-do of the Klingons? If there was an in story reason they didn’t get to it. It seems totally unnecessary after the decade’s long wait to explain why the Star Trek Movie/Next Gen Klingons looked so different from the original series Klingons. There finally had been a canon resolution to the last Klingon re-do in the last season of Enterprise. It just seemed pointless and irritating to restart that again. One of my initial complaints about the show was how to access it. Since the show is shown exclusively on CBS’s streaming service, CBS All Access, I was a bit grumbly about having to pay for a special effects laden show that didn’t have a smart TV app. Well CBS heard my cries and halfway through the season they added an option to access the app through the Amazon Prime Video service, which does have a smart TV app. So now I can watch the best special effects laden show on television the way it was meant to be seen, on glorious HD big screen TV. No more hunching over my computer in my home office with my wife asking what I’m doing in there with the door closed. And speaking of, for some mysterious reason, my wife decided to give the show a try the other day and sat down and binged the first 8 hours of the show with claims that she liked it. It could be that, or she found a good way to avoid household chores without me bugging her and decided to ride it for all it’s worth. This entry was posted in Pop Culture, TV & Movie Reviews and tagged Amazon Prime Video, CBS All Access, Gabriel Lorca, Harry Mudd, Mirror Universe, science fiction, Star Trek, Star Trek Discovery, TV Review. Bookmark the permalink. Thanks for letting me know I didn’t waste my good money on this trash. Appreciate it. Huh, I didn’t think it was that negative a review. I thought it was mostly positive.